CAMS can today confirm it has assigned the rights to the Category Management Agreement (CMA) for the CAMS Australian GT Championship, CAMS Australian Endurance Championship and the CAMS Australian GT Trophy Series to Trofeo Pty Ltd. 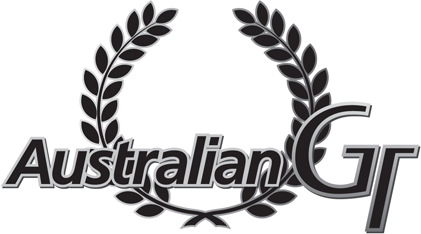 The change sees the existing rights transferred from Australian GT Sportscar Group Pty Ltd.
Trofeo has been associated directly with the category since 2011 as a major sponsor and supplier of Pirelli tyres and on-track support to the competitor base. Trofeo’s Jim Manolios was excited about the future of the category. “We are really looking forward to some great racing and seeing a further increase in the interest in the GT categories across Australia,” Manolios said. CAMS CEO Eugene Arocca said the CAMS Board had approved the change and was pleased to welcome Trofeo on board as the rights holder for the categories. “This is an excellent outcome for the sport and teams,” Arocca said. “All competitors and fans should be excited about what lies ahead for GT racing in Australia. Arocca also thanked Tony Quinn for his dedication and commitment to the category. Quinn himself said he was still passionate about the category and was excited about its future. “I’m pleased that Jim and his team have decided to take over the management of the GT categories and I know they will continue on the strong legacy we have created,” Quinn said. The current CMA will expire at the end of 2020. It has also been confirmed current Championship Manager Ken Collier will continue in the same role.